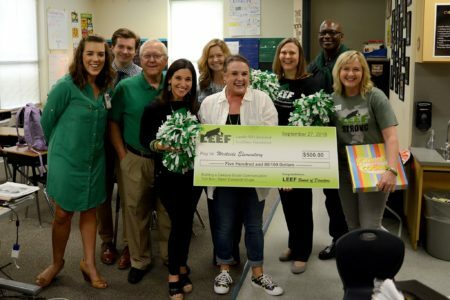 On Thursday, September 27, the LEEF Grant Patrol made 7 stops and awarded 15 different grants totaling $7,023. With the help of these grants, teachers received development opportunities, libraries were established and more. A huge round of applause to all the recipients of the Summer 2018 Grant Winners!